Do you feel that now is the time to invest in silver bars? There are a few things to keep in mind when buying silver, but it could end up being the right investment for you. One of the biggest benefits of buying silver is that it is one of the ultimate forms of money along with gold. It cannot be depreciated like paper money as there is a limited supply of it available, and thus continues to hold value. Owning physical silver provides you with a tangible asset, which is accepted all over the world. Physical silver also provides a tangible hedge against hacking and cybercrime, as there is no erasing a physical asset like there is a digital one. Another benefit to buying silver bullion is that it is cheaper than buying gold and so could be better to sell (should the need arise) for a smaller financial commitment. Instead of selling a full ounce of gold, it would be possible to sell smaller denominations of silver in order to meet your need. Plus, it is possible to sell silver almost anywhere in the world. You can buy silver bars online with Gold Investments. We only offer the finest quality metals, and only list items that are in stock online. Even though silver does not carry the same value by weight as gold does, it is more speculative, and therefore can be a good investment option, especially if you are able to buy low and sell high. Please be aware that a 20% value added tax is charged on silver, so it may be worth considering silver as a longer term investment in order to recoup the cost of the VAT. We accept payment in the form of cheques, bank transfers, debit cards, and cash. Please note that we do not accept credit cards, and that we only accept cash payments up to £7,500 per person, in accordance with UK money laundering regulations. It is possible to have your silver delivered worldwide, and is free for purchases over £1,000. It is also possible to pick up your purchase directly from our London offices. 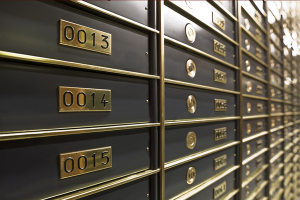 We offer certified storage to all Gold Investments customers at the London Silver Vaults at a price of £4 per ounce per year. To set up an appointment to visit us in person at our London offices, please call 0207 283 7752 or email info@goldinvestments.co.uk. Our offices are open weekdays from 9h00 to 16h30. Online trading is available 24 hours a day. In order to maximise your gold and/or silver investment portfolios, or buy and sell silver and gold, keep up to date on market movements with our Gold Club, free of charge. You can also watch gold, silver, and platinum market prices change in close to real time on our website, which includes all the info you need to make the best decisions for your portfolio.